Recess Team: the team of adults present at and responsible for recess periods at a school. 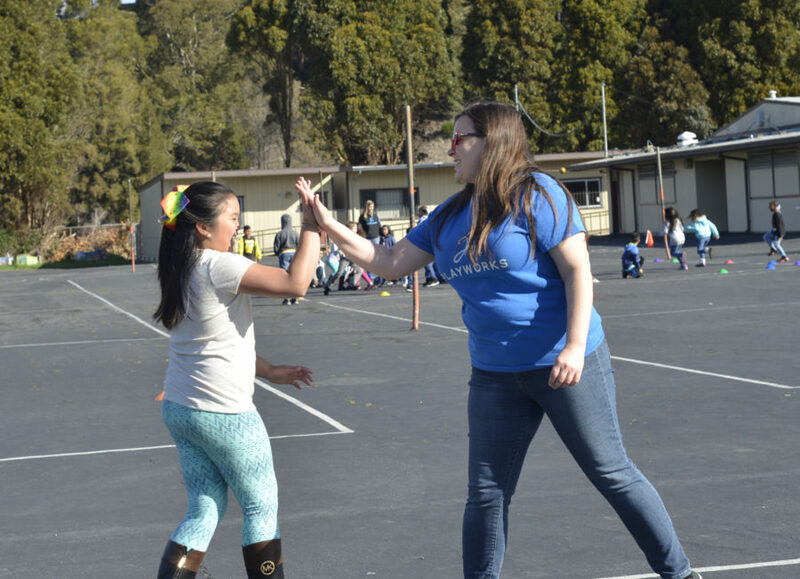 The Recess Team improves overall school climate by teaching valuable social and emotional skills and reducing negative spillover into class from conflicts at recess. Members of the Recess Team facilitate or monitor specific game stations at recess, like four square or Three-Lines Basketball. They might be actively playing in the game or cheering from the sidelines. By participating in play, team members are helping supervise the playground by checking in with students and addressing issues before they escalate. Team members also play an important role by rotating responsibilities for game stations, managing equipment, or directing student leaders. Discuss the state of recess. What challenges are occurring? What solutions might exist? Decide when and how often the recess team will meet. Agree on roles and responsibilities. Who is responsible for what game or what area of the playground? Agree to a rotation for game station assignments, such as weekly or bi-monthly. For example, which adult would like to be responsible for Knock-Down Soccer versus Magic Tag next week? These meetings provide an opportunity for thoughtful planning. 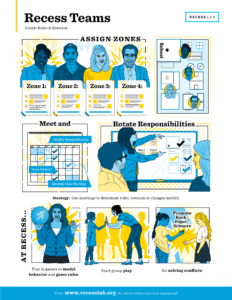 They create milestones for team building, consistency and accountability goals, and the opportunity to decide on rotating leadership roles.